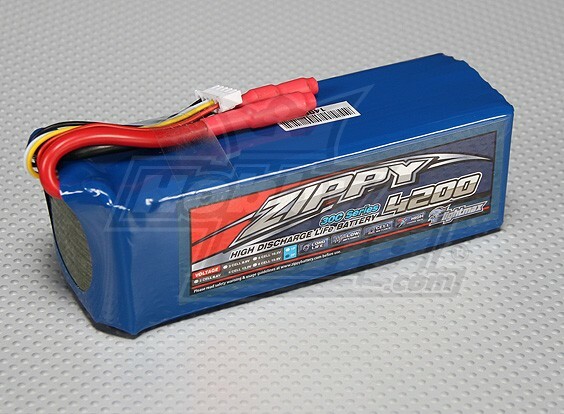 I have just ordered one of these (certified genuine) to go with the new LifePo batteries also just ordered. I will take care to test the cells before doing anything else after unpacking them. Thanks for helpful comments above. It’s not yet Advent but an order to Santa for a LiFePO cell and genuine IMAX B6 has been placed. Well my swag arrived sooner than expected and everything seems to work. I do feel a little overwhelmed having gone from a simple fixed balance charger that no options (connect it, light flashes till battery is charged) to an IMAX B6 which has lots and lots. My question is simple: for a 4200mAh LiFePO cell, what charging current should I use? My packs have occasionally suffered from stuck cells on both charge and discharge cycles at higher charging current. I sorted it out by letting them rest and reducing the charge current. Just something to bear in mind. Most manufacturer’s data sheets recommend 0.5C (ie about 2A for your 4200mAh battery) for the constant current part of the charge, with a maximum of 1C . I always do a balanced charge for the LiFePO4 batteries, but occasionally one cell will not reach full charge at the same time as the others. What I do then is discharge them down to 3.3v each and then charge them again. This seems to occur when the battery has not been used for a while, but I find this usually cures the problem. Although my charge current is set at 2.0A initially it drops as the cells reach their end voltage, sometimes to as low as 0.1A. When the charge current is as low as this it takes a long time to bring up any cells that are lagging. While viewing this thread, I checked out the Hobbyking UK site. I bought the ZIPPY Flightmax 4200mAh 4S1P 30C LiFePo4 Pack a couple of years ago. 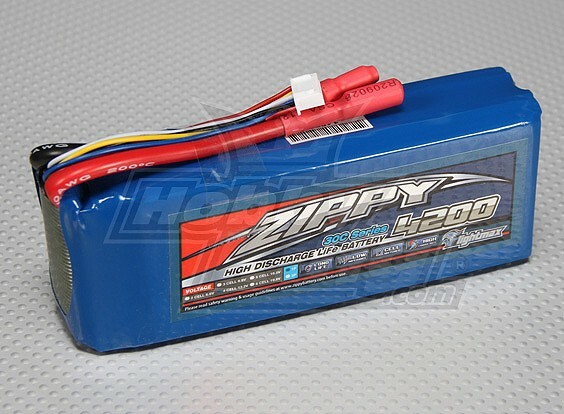 There are 2 versions of the ZIPPY Flightmax 4200mAh battery, the 4S1P 30C (1 Piece) and the 4200mAh 4S2P (2 Piece). I bought the 4S1P 30C as it weighed slightly less at 512g versus 558g of the 4200mAh 4S2P. However, the 4200mAh 4S2P version is on offer at the minute with a discount of £13.98, may be of interest to anybody making a purchase. The 2p versions have parallel cells. Thats fine while they track well but once a cell deteriorates, it seems to me the good cell will always be charging the bad one and that surely signals the early end of the pack. For this reason I have avoided the 2p format. I read somewhere that the charge current should be less than or equal to 1C. I usually use between 0.5C and 1C. I have now used this very cell on 2 activations using only an FT817 on a mix of SSB and CW. I charged the cell to full using a balance charge at 2A max. When I connected the charger it told me 61% charged. So if I read that right, 3hrs of typical full power 817 operation has used 40% of the cell’s capacity suggesting it will easily last for 4hrs30 of typical FMF operation. I charged up my old LiPos on the charger I have been using for years, a simple Mystery charger then connect them to the new IMAX B6 charger. It looks like the Mystery charger only charged the cells to about 85-90% of their capacity. I’ll try and old one next time I’m out as it may be less worn than I think. So far, this new charger and cell seem to be money well spent. I’m using a LiFePo 4S2P with 6.6 Ah with an integrated B(attery)M(anagement)S(system) since september 2014. Charging is done with a genuine IMAX B6. Via the optional USB-Interface modul I get the charging graph on the PC. 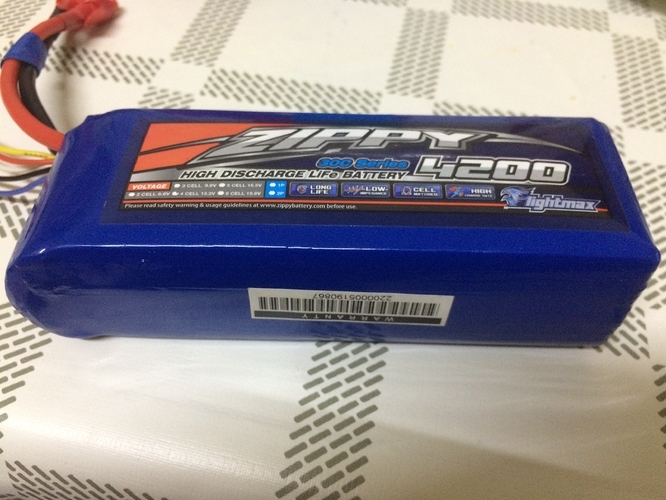 Until middle 2017 this was my only battery for SOTA. Since than I’m using my FT817 optional with an internal LiPo 3S (lower volume, lower weight). The LiFePo is well until now. The maximum charging current of the battery should be shown in the data sheet or on a label. I found on the label “max 6A”. That is equal to about 1C. My setting for the B6 is 4 A. The B6 limits the starting current automaticaly to 3.7 A. I guess, its because of some power limitations inside the charger. So charging is done with about 0,56 C.
I think its good to use a genuine B6. Before buying mine, I was reading some posts about clones. Some clones are described to be in a bad quality. For my B6 I checked the voltage displayed on the B6 against the value, measured with a good DVM (accuracy better than +/- 0.022 V at 14 V). The difference was less than 0.04 V for current between 1 A and 3.7 A.
I read about lifetime extension for Li-Batterys by avoiding a discharge to near 0% and a charge to near 100%. It should be a good idea to use only the region between 20 % and 90 % of charging. This was enough for my FT817 (with 5 W in SSB, with speech compressor and calling much) for more than one activation and / or long activation. For each hour of operation I had to recharge 1 Ah. When store the battery over a longer time, the charging level should be not 100 %, better about 85 %, U=13.2 V. The B6 has a special function “STORAGE”. So, these are my experiences. Time for a new one! They are a lot less than what I paid 4 years ago. That battery isn’t too badly puffed up. Must be only about 10%. I was concerned about mine too. It expanded so much it split the blue plastic sleeve. Here it is next to the exact same battery purchased recently. This battery still worked but with about half the advertised capacity. One cell consistently dropped below 2.8v, but recharged happily to 3.6v. When the pack looked like this even I had to concede it needed to be recycled.